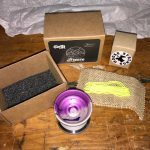 This month’s box is from Good Life YoYos. The Breeze is Chandler Steele’s signature throw. 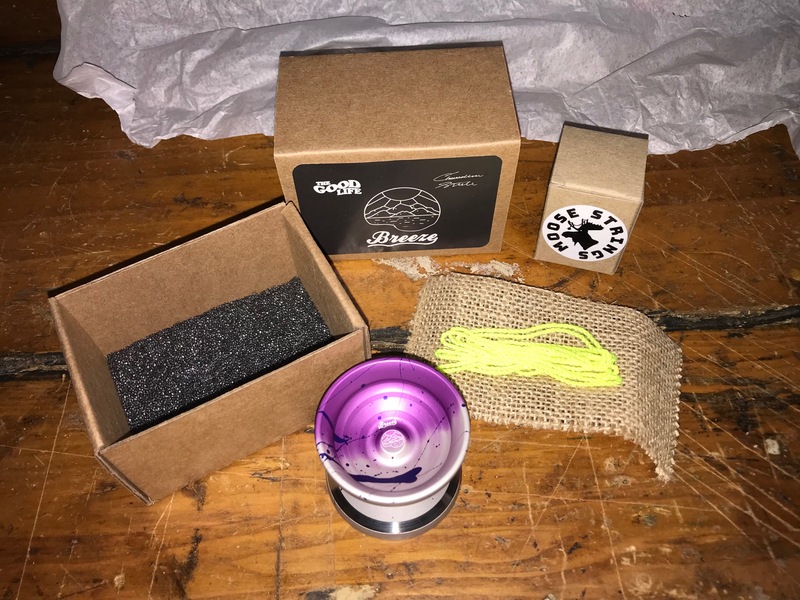 His idea was to make a yoyo that could handle high speed play, being yanked in all different directions, but maintain stablity with an nice wide gap. They paid attention to aestethic and confortability along the way. 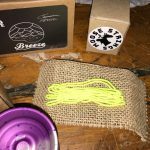 There is also a monthly box from Moose Strings. 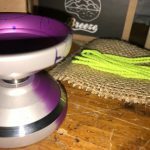 Purple Storm is exclusive to us. The combined value of this month’s box is about $135.00.